The use of virtual training and simulation is gaining increased attention in a number of application areas, one of the notable being training autonomous drones, robots, or gadgets that move on their own. Testing or training drones, robots, and other self-navigating devices in a virtual scenario is gaining increased popularity from manufacturers and researchers owing to the vastly affordable nature of simulated training. Manual testing or training of these devices is either impossible due to several regulatory restrictions, highly expensive when possible, and extremely resource-intensive. As such devices become common in the present-day, highly digitized world, ways of making their operations accurate are always sought. One of the key areas of training self-navigating devices is to program these device to distinguish between things like solid objects and shadows and dark-colored walls. Training devices in these areas with the help of simulation software or in virtual settings could help researchers avoid some very expensive failures. The increased realization of this promising area of application has compelled many companies to come up with virtual training and simulation software specifically suiting self-navigating devices. Recently, Microsoft introduced a beta version of an advanced virtual reality program for autonomous drones and other varieties of self-navigating devices. The program could help self-navigating devices to learn to be more comfortable and accurate while navigating through real-world situations, without actually risking real world objects while learning to do so. Looking at the large number of self-navigating devices being put to use in industries and the public sector, this area of application could open up vast growth opportunities for players in the virtual training and simulation market in the near future. Virtual training and simulation products are finding an increasing number of applications across a number of industries and the market is expected to expand at a promising pace over the period between 2017 and 2025. The increased use for simulating real-life environments/situations in industries such as defense and aviation, mining, and oil and gas for training employees to deal with potentially risky or complex situations that may occur in real world is boosting the demand for virtual training and simulation products and solutions. This report on the global virtual training and simulation market presents a thorough overview of the present growth dynamics and the future growth prospects of the market over the period between 2017 and 2025. The report includes a detailed analytical overview of factors expected to impact the potential growth prospects of the market over the said period, including such as drivers, restraints, trends, opportunities, and regulatory scenario across key regional markets. The report presents vast qualitative and quantitative insights regarding the growth potential of the various segments of the market on global, regional, and country levels. A market attractiveness analysis of the segments covered in the report across all the key regional markets examined is provided in the report. 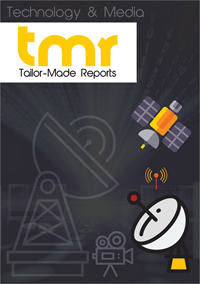 The report segments the global virtual training and simulation market on the basis of criteria such as component, end-use industry, and geography. The key components of a virtual training and simulation solution are hardware and software. Of these, the hardware segment accounts for a dominant share in the revenue of the global market and is expected to lead with a sizeable margin over the report's forecast period as well. The high cost of devices supporting virtual reality and increased adoption across industries such as education, healthcare, and aviation primarily contribute to the excellent future growth prospects of the segment. The key industries using virtual training and simulation solutions include education, healthcare, medical science, defense and aviation, mining, gaming, oil and gas, and transportation. Of these, the education sector is expected to emerge as the leading contributor of revenue to the global market. The continuously rising number of online courses and the increasing number of enrollments across developed as well as developing economies have significantly contributed to the rising demand for virtual training and simulation solutions in the industry. The defense and aviation sectors will also lead to an impressive demand for a variety of virtual training and simulation solutions in the next few years. From a geographical perspective, the report examines the Virtual Training and Simulation Market across regions such as Asia Pacific, North America, Europe, and Middle East and Africa. Of these, North America is presently the leading contributor of revenue to the global market and is expected to exhibit growth at an impressive growth over the next few years as well. Increasing use in the defense and aviation sectors will fuel the demand for virtual training and simulation products in the region. Asia Pacific, with its thriving e-learning industry, will also emerge as a leading market for virtual training and simulation solutions over the report's forecast period. The report also presents detailed business profiles of some of the key companies contributing to the overall development of the virtual training and simulation market. Some of the market's leading vendors profiled in the report are Kratos Defense & Security Solutions, Inc., Cubic Corporation., L-3 Link Simulation & Training, QinetiQ Group plc., BAE Systems, SAAB Training USA LLC, ANSYS, Inc., and Lockheed Martin.